No, it’s nothing to do with farm animals. 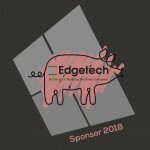 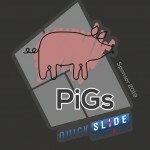 As part of our commitment to the glazing industry, and because we like to let our hair down sometimes, we run PIGS, a long-running and popular networking group. In 2014, Sarah took over as PiGs organiser and now plans four events a year in London, Manchester, Glasgow and Birmingham. Everyone is kept up to date via PiGs social media including @PeopleInGlazing on Twitter and the ‘People in Glazing’ page on Facebook. The first People in Glazing Society event of 2019 is being hosted at The Castlefield Rooms, Manchester on Thursday 7th March 2019 17:00 – 23:00 GMT 18-20 Castle St, Manchester M3 4LZ.